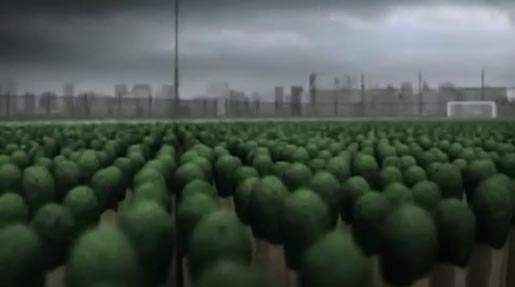 Greenpeace Australia is connecting FIFA World Cup matches with their campaign to slow down deforestation, in a television commercial featuring green match heads. “Every two seconds, an area of forest the size of a football pitch is cut down. For a 90 minute game, that’s 2700 football pitches. For the 64 games of the World Cup, that’s a staggering 172,800 football pitches.” The campaign follows on with Greenpeace’s presentation of the “World Cup of Forest Destruction” to Indonesia’s President Susilo Bambang Yudhoyono in January.